Car camping at White River State Park in Arkansas, and stopping by Gaston's Resort. April, 2010, soon after getting my first digital camera. 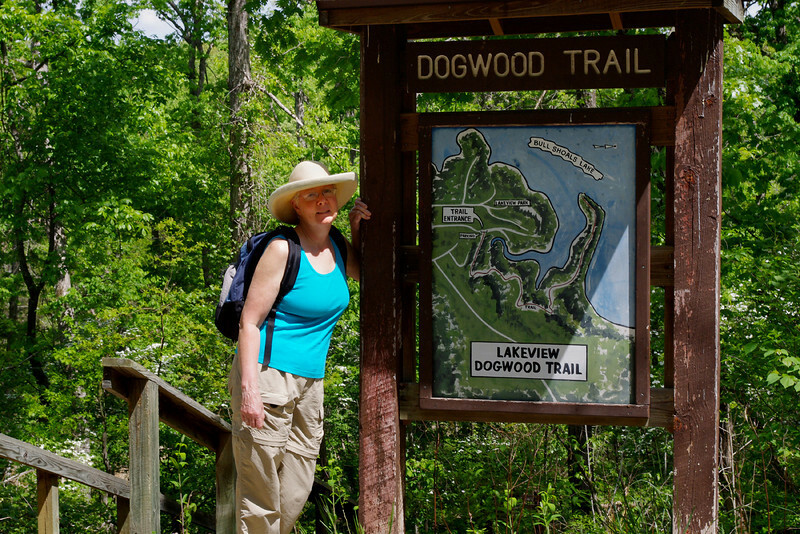 Rita at the Dogwood Trail trailhead, Lakeview, Arkansas. Rita in her Marmot tent, Bull Shoals White River State Park, Arkansas. 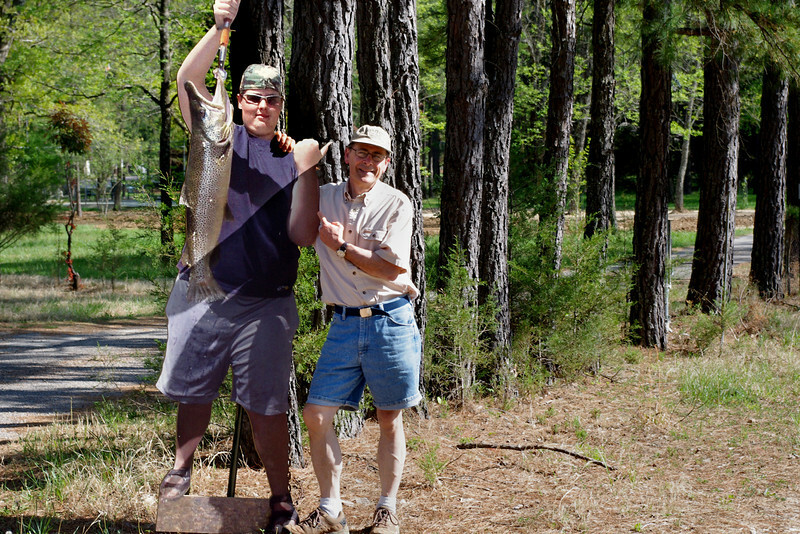 Gary with fishing buddy, Bull Shoals White River State Park, Arkansas. 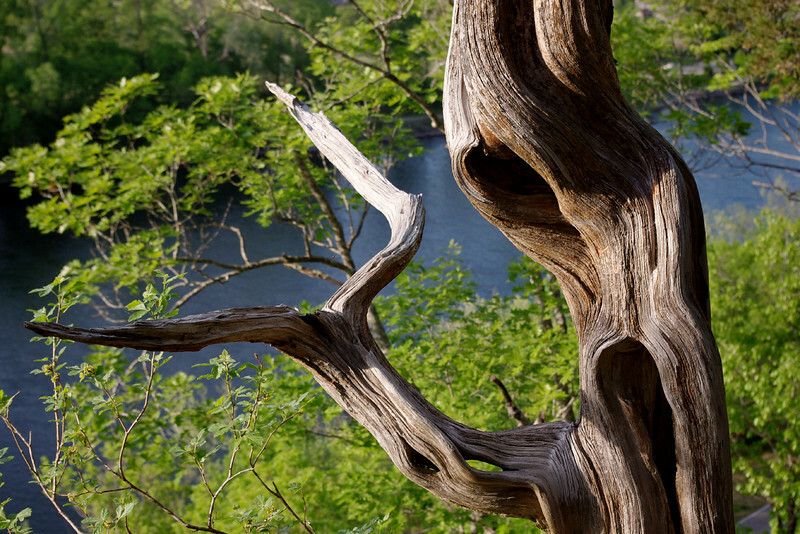 Ancient cedar tree trunk, Bluff Trail, Bull Shoals White River State Park, Arkansas. 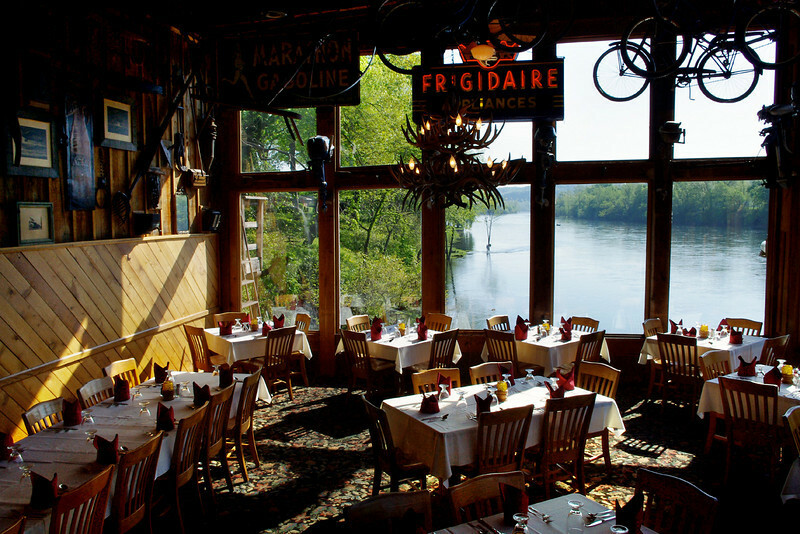 View down the White River from the dining room of Gaston's Resort, Lakeview, Arkansas. 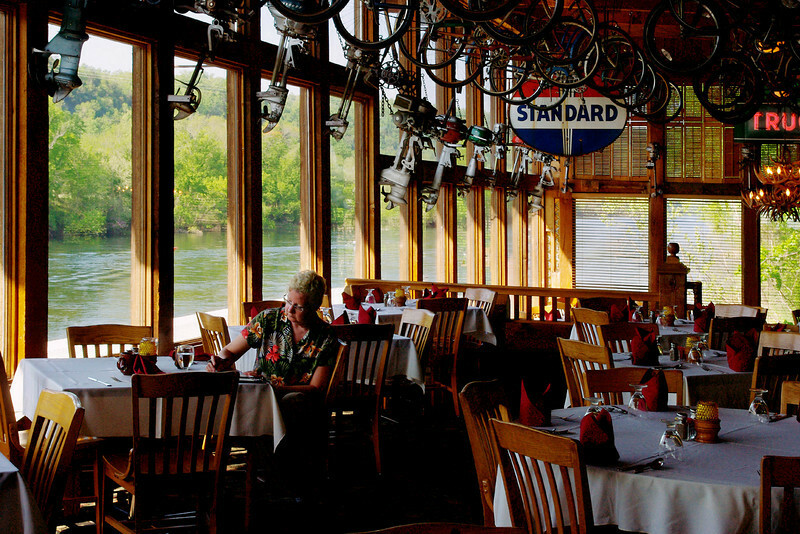 Rita in the dining room of Gaston's Resort, Lakeview, Arkansas. 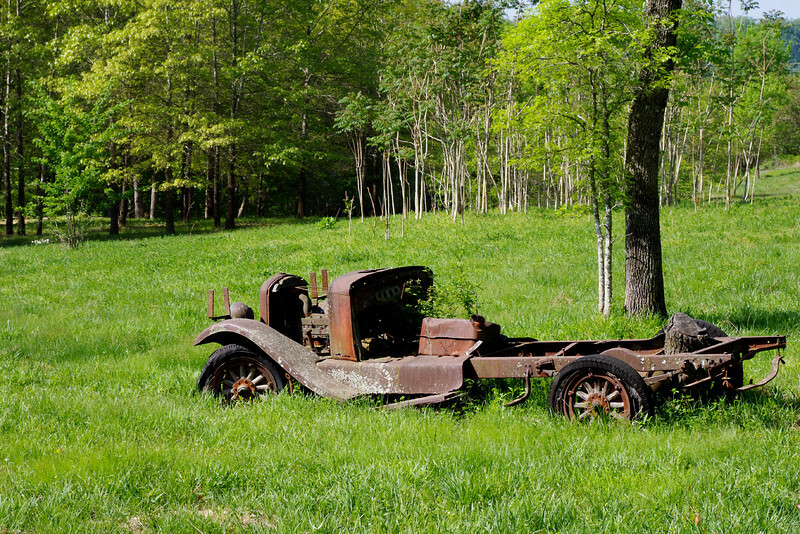 Remains of antique car, nature trail, Gaston's Resort, Lakeview, Arkansas. Gaston's maintains a nice (short) hiking trail across the road from their restaurant. 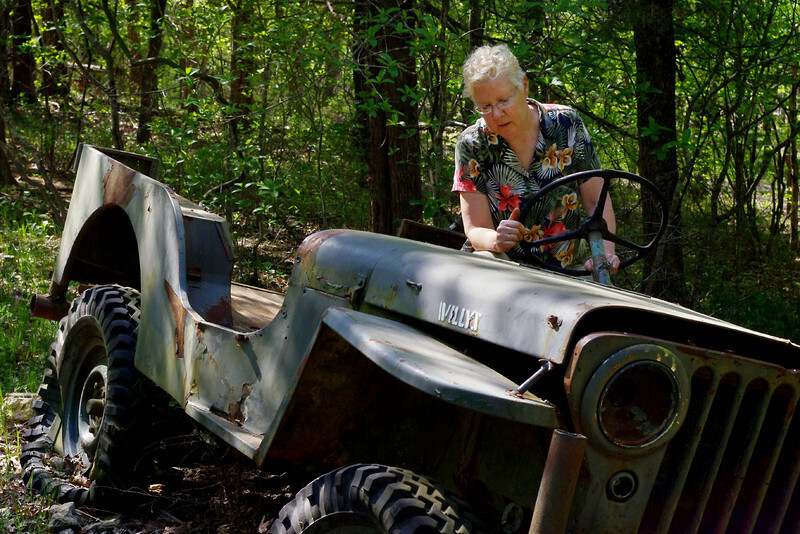 Rita, WWII Jeep, nature trail, Gaston's Resort, Lakeview, Arkansas.